Ricardo engineers Angela Johnson and Yvonne Paige-Stimson are featured in Autocar’s list of the ‘100 most influential British women in the car industry’, as announced last Friday. The Autocar Great British Women in the Car Industry initiative has been set up to encourage more women into the automotive industry and to address the challenges they face both in entering and progressing within it. The initiative is backed by the Society of Motor Manufacturers and Traders (SMMT), Direct Line Group, Ford and Jaguar Land Rover, with additional support from Gaia Innovation. Autocar – the UK’s oldest and most respected weekly motoring title – unveiled its ‘top 100’ list at an event hosted at the London headquarters of the Society of Motor Manufacturers & Traders (SMMT) on Friday 8th July. The event included a keynote speech from Ford of Europe’s vice president and COO, Barb Samardzich, and a forum chaired by Autocar’s Steve Cropley to discuss the issues around attracting women into the car industry. 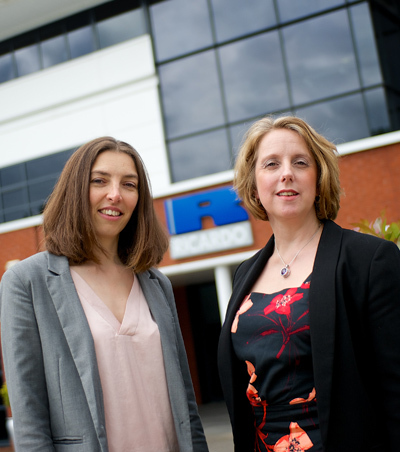 The Ricardo engineers included on the list – Angela Johnson, chief engineer, advanced technology development, and Yvonne Paige-Stimson, senior programme manager – both hold important positions, respectively in the development, dissemination and application of new automotive technologies and in the delivery of major new vehicle and powertrain programmes.